Charter management - Kroki Nautika d.o.o. 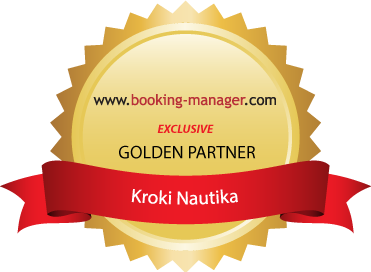 KROKI offers a charter management program for anyone interested in purchasing and sailing their own yacht. The Investor or Future Owner program is for those who do not want to be burdened with yacht maintenance, booking, or other similar obligations. The Owner program is designed for people or companies that already have a yacht or would like to purchase one and put it into charter. Technical support to the yacht and its crew during charter periods. In addition, KROKI provides an investor/owner with full insight into a yacht’s technical, revenue, and financial performance. Charter management with us is very simple. The owner program suits people who already have a yacht or would like to purchase one. The owner provides the yacht- Kroki can help with purchasing one. Charter income is paid to the owner on a monthly basis for charter incomes in the preceding month. plus the tailor-made charter management conditions that we can jointly develop from the basic model described above will make you a satisfied investor and yacht owner. We are certain that you will enjoy the time that you use your yacht and work with the KROKI team.